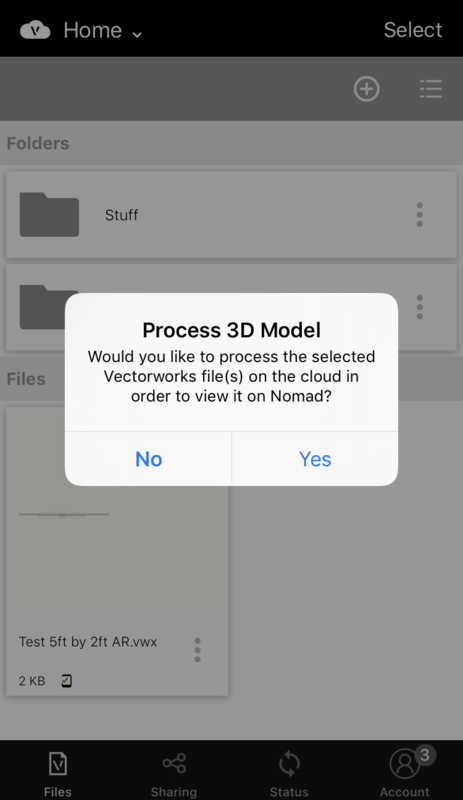 Unbeknownst to most, there is such as thing as Vectorworks Nomad, a mobile app that converts 3D models for viewing in Augmented Reality (AR). I know! 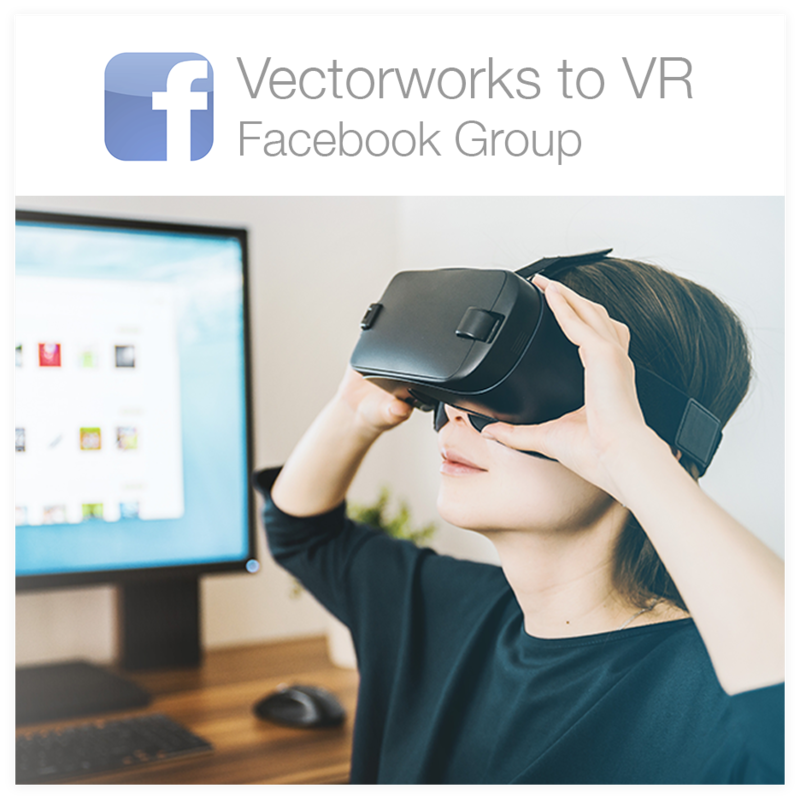 I was equally excited to learn this existed as Vectorworks has made it very easy for its users to start working in AR. The Nomad mobile app is ideal for client walk-throughs and site-surveys. This tutorial outlines specifically how you could use Nomad to present signage opportunities in AR to clients while on-site. 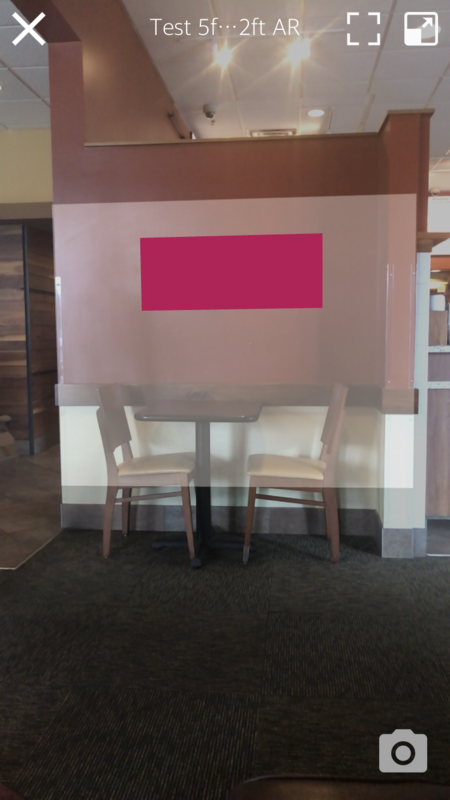 Scenario: I want to show the client how a 2′ by 5′ sign would look on a given wall using AR. 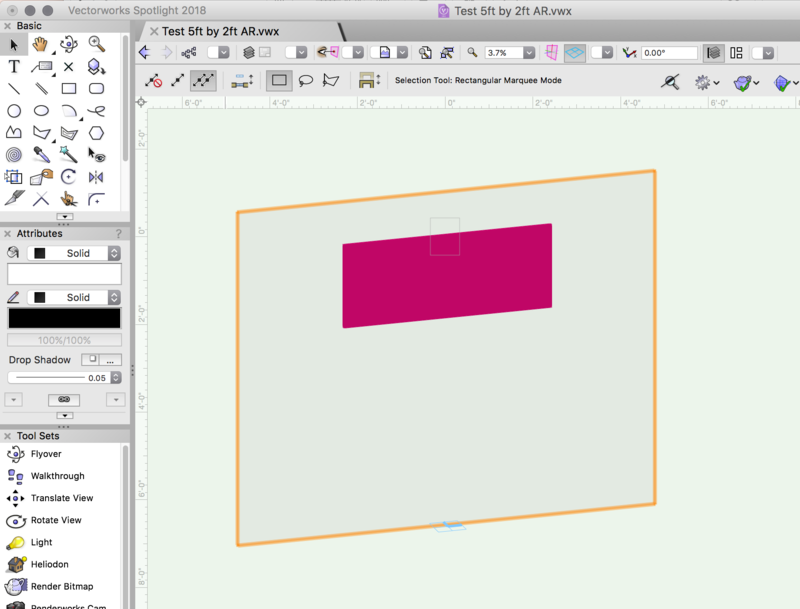 In Vectorworks, I created a 2’x 5′ extruded rectangle. I also created the wall in 3D. This wall will be my point of reference to be able to scale the sign appropriately in AR. You can turn off/hide the wall in Nomad once the sign has been scaled appropriately. The wall has a semi-opaque material because we will need to see through it in order to line it up with the venue wall IRL. 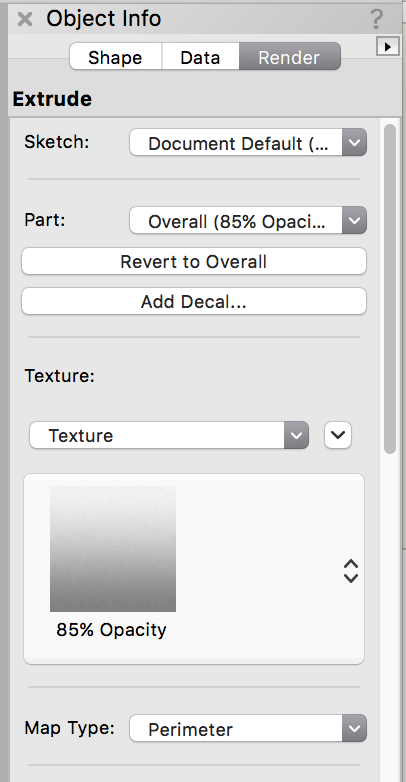 Create a Custom Renderworks Texture and map to the wall object. 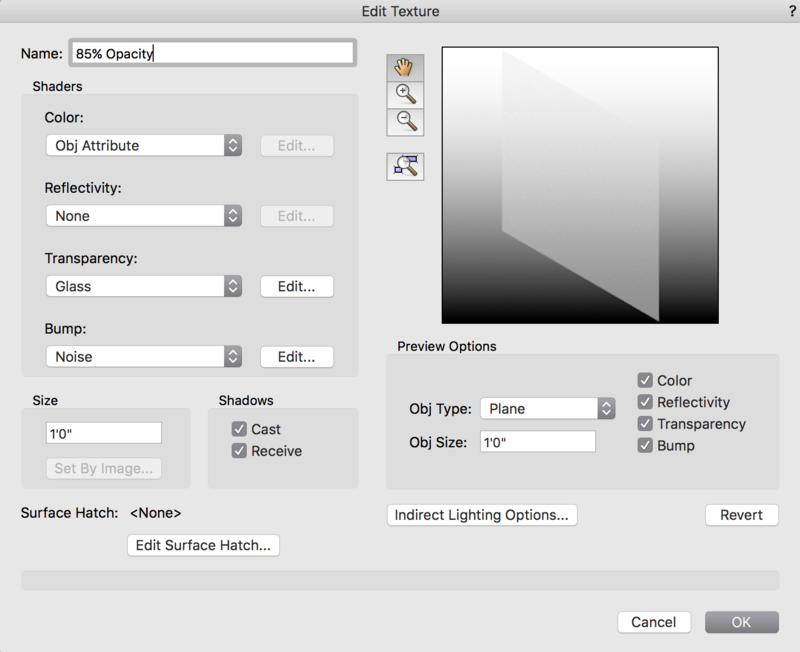 With the wall object selected, choose the semi-opaque texture in Object Info>Render. Main Nav> Cloud> Log In/Sign Up. 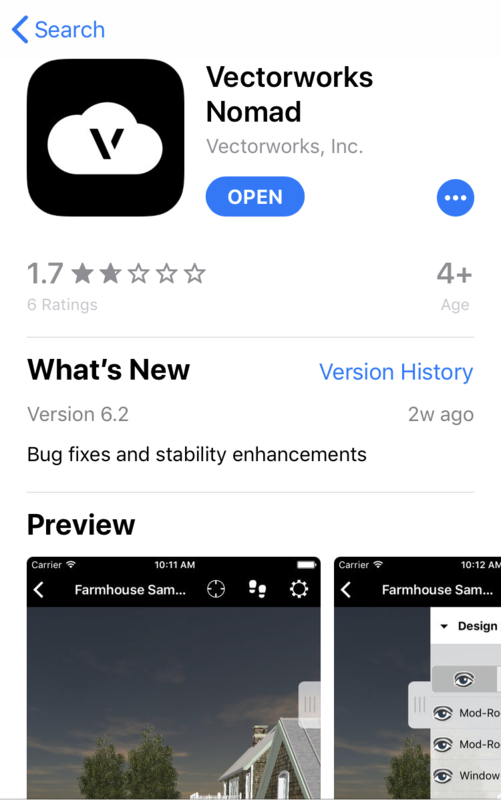 Then Main Nav> File> Save As. 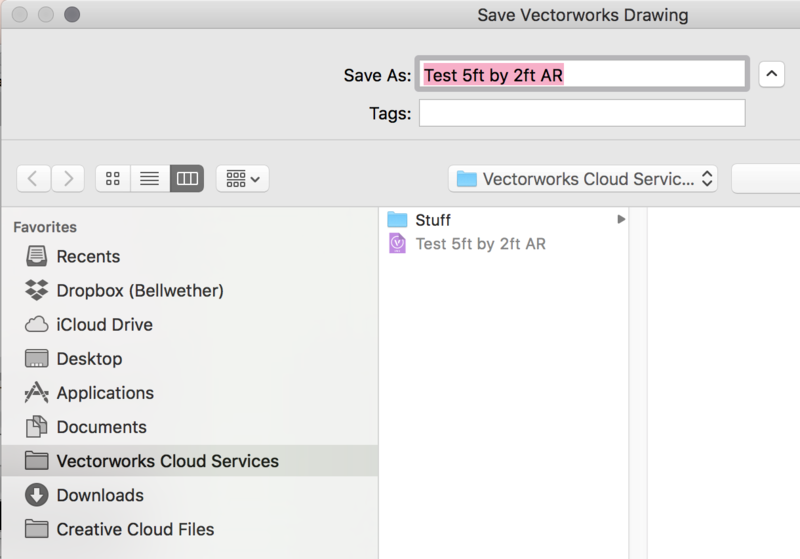 Be sure to save the file into the Vectorworks Cloud Services Folder. 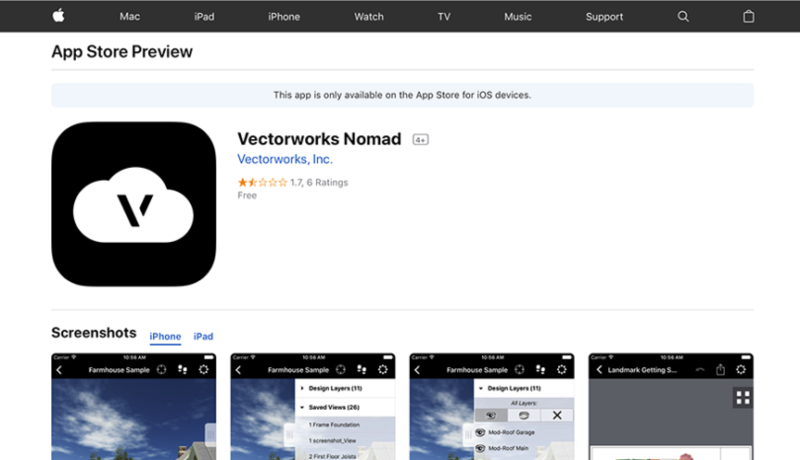 Go to Google Play Store or Apple’s App Store to find and install the Vectorworks Nomad mobile app. Sign in with your cloud services account information. 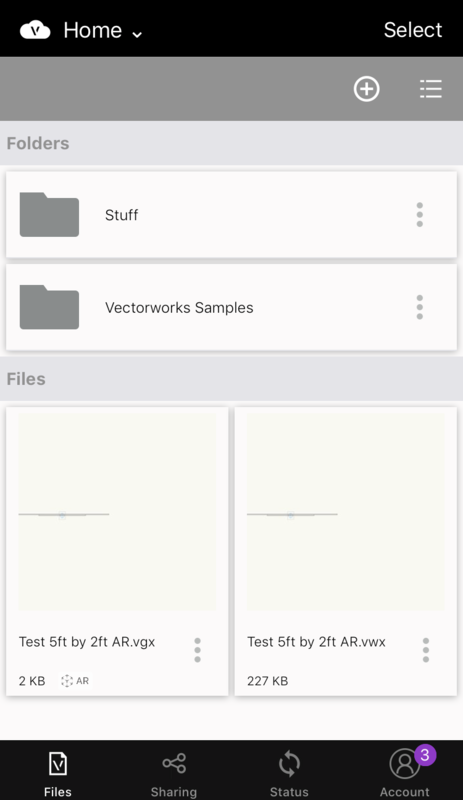 In Nomad, you will see the file you saved to Vectorworks Services Select. 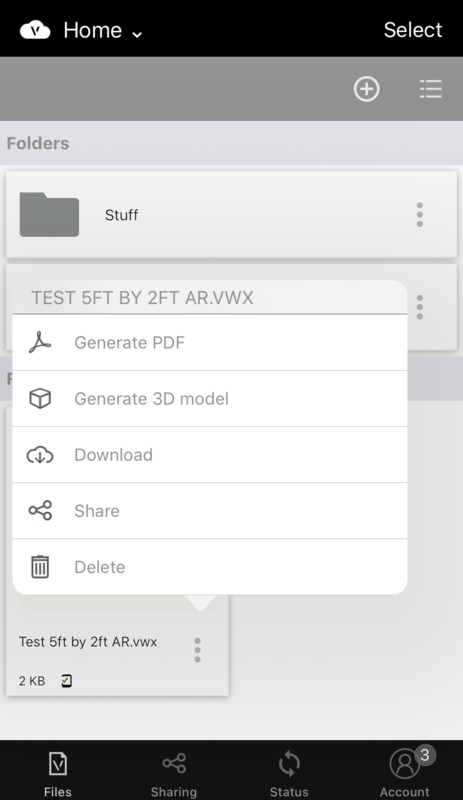 Click on the three dots on the file thumbnail and select “Generate 3D model”. 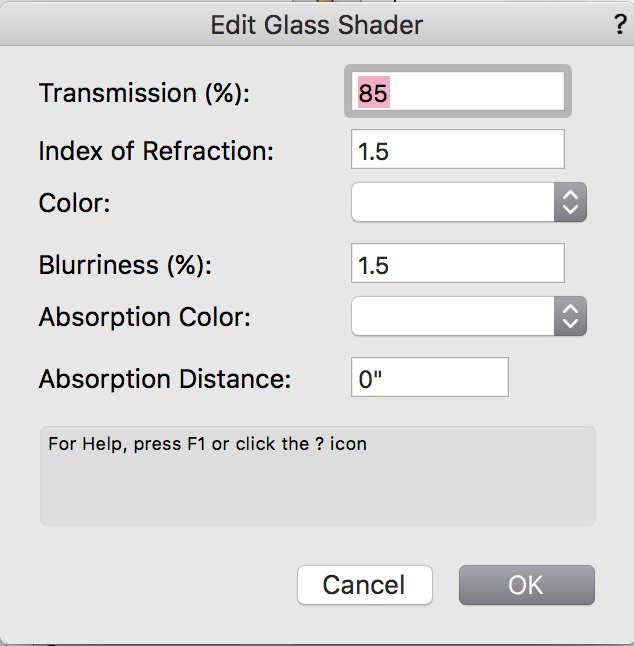 Then click Yes to Process 3D Model. You will see that Nomad creates a copy of the file with a little AR icon at the bottom. 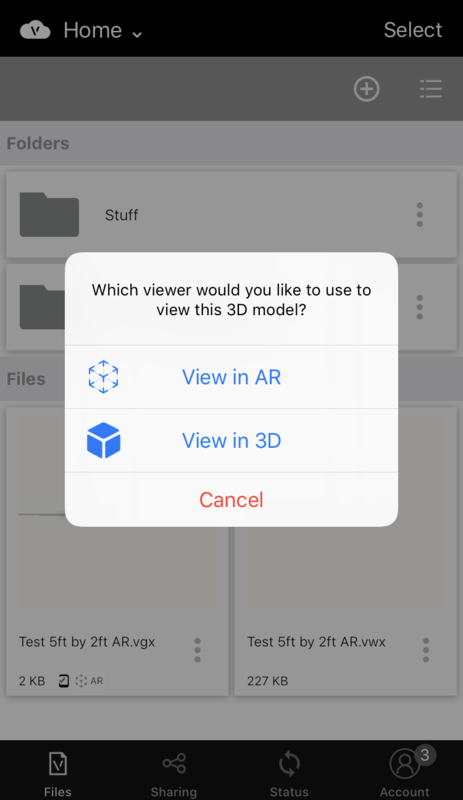 Click on AR-ready file and select ‘View in AR’. Use your fingers to scale and position the reference wall into place. You can see I matched the width of the wall here. 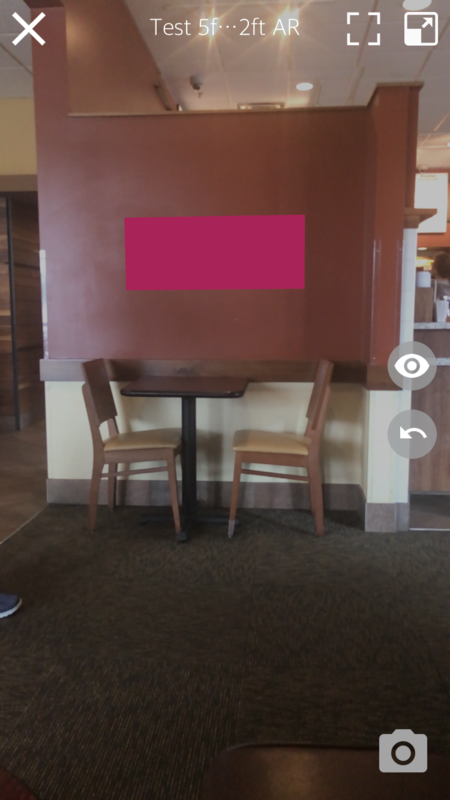 Unfortunately, my sign is not shown in AR to scale because I took these screenshots randomly at a Panera with a pre-made test model. I mainly wish to illustrate the concept of having a scale reference object built into your model. Ideally, you will have a 3D wall drawn that is the exact dimensions of the physical wall in real life. Tap once on the semi-opaque wall to hide the object. Now you can walk around the space and the sign will remain in place for viewing in AR. I hope this information will lead to happier clients and save you time in pre-production. One of the goals of ScenicMentor.com is to help designers work faster, giving them more time to create and more easily share their ideas with the world!